The aim of the Nicotine Science Center is to advance the scientific understanding of nicotine, and thereby enable the development of more effective products for tobacco cessation. The Nicotine Science Center is based in Vejle, Denmark, and is an affiliate of Fertin Pharma - a world leader in the development and manufacturing of medicated chewing gum. The official opening of the Nicotine Science Center took place on the 2nd of May 2014. Health problems and mortality caused by the usage of tobacco remain a global challenge. Over the last 25 years Fertin Pharma has made a consistent and dedicated effort to continuously develop nicotine gum of improved quality and efficacy for tobacco cessation. It is a well-known fact that tobacco users may benefit from Nicotine Replacement Therapy when trying to quit or reduce their use of tobacco products. However, globally there are more than 1 billion smokers that would benefit from quitting tobacco. To accelerate and improve the likelihood of cessation success for the individual tobacco user, we need an increased scientific insight into nicotine and its delivery. The Nicotine Science Center will focus on building such knowledge and insight in order to contribute to the development of better products with higher efficacy. The Nicotine Science Center will collaborate closely with leading researchers, universities and relevant organizations through funding and facilitation of research projects. The ambition is to continuously fund and facilitate research projects within research areas of interest. 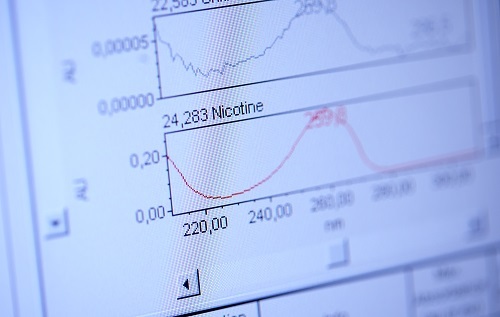 Currently, the Nicotine Science Center is already involved in Master and PhD research projects together with Danish and European universities.